In my previous post, I focused on how poetry formed part of the propaganda offensive designed to encourage young men to join up to fight on the Western Front, using as an example Jessie Pope’s poem ‘Who’s for the game?’, and also how poetry was employed to bring the reality of the horrors of the front line to the people back home, as in Wilfred Owen’s ‘Dulce et decorum est pro patria mori’. In this post I present the third of the three two-hour sessions, in which we widen our focus to other areas of conflict within the First World War, namely the Dardanelles Campaign and Gallipoli, where Australian forces suffered horrific casualties. We will also examine how the dead are remembered, focusing on the ceremony at the Cenotaph which takes place every year on the Remembrance Sunday. The numbers of casualties in the First World War were staggering. Over the four years which the war lasted millions of people were killed or wounded. 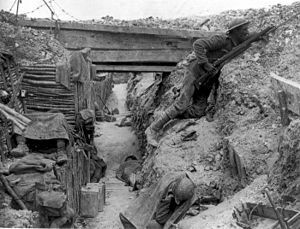 In just one day, 1st July 1916 – the first day of the battle of the Somme – the British army alone suffered around 60000 casualties. 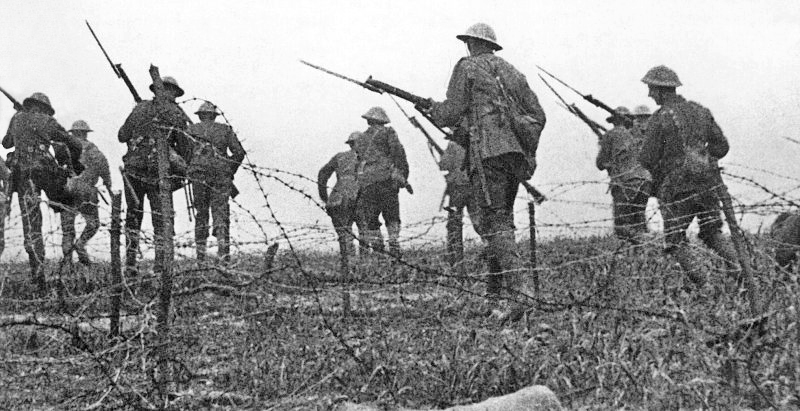 By the end of the battle, on 18th November, there had been over a million casualties. Ask the students to try to guess what these figures represent in relation to the First World War. After a few minutes, give them the answers, then show them the table of Casualty figures for the First World War as a whole. In this section, we will examine Rupert Brooke’s poem, ‘The Soldier‘. This poem has become one of the most popular readings for remembrance services, reflecting the sacrifice that so many young men made for their country. If you have more time, the sentiment of this poem can be contrasted with Owen’s poem, ‘Futility‘, which focuses more on the senselessness of so many deaths, but this plan of work is designed for you to work on ‘The Soldier’ on its own. How does the outlook of the two poems differ? Can you think of any reasons for this? Are the sentiments of ‘The Soldier’ closer in tone to ‘Dulce et decorum est’ or ‘Who’s for the game?’? The last part of this session is based around the song, ‘The band played “Waltzing Matilda”‘, as performed in the following video. The photographs which accompany the song are useful to help the students get an idea of the situations which are being described by the lyrics. Before showing the video and doing the lyrics exercise, ask the class which national anthems they know. You could perhaps play them clips from a series of anthems and have them identify the country in teams. Then ask them if they know any songs which are strongly associated with a country without being an official national anthem. Again, perhaps a collection of short clips may help make this point. Then play an instrumental version of ‘Waltzing Matilda’ and ask which country might be associated with it. If they do not come up with Australia, don’t worry, simply explain the association. As a way into the song, use this lyrics worksheet. This should be quite a simple exercise, and the main objective is simply to get the students familiar with the words of the song. As it is quite a long song, I suggest breaking it down into three sections – first verse, with the chorus, which deals with life before the war, then the description of the battle, and finally the time in the hospital and the aftermath, up to the end of the song. The worksheet is divided into these sections. The song uses a series of contrasts between before and after the battle to draw attention to how war changes a person. Ask the students to identify parts from the beginning of the song with parts from the immediate aftermmath of the battle. They should express what changes have happened and describe the emotions associated with these changes. Another motif used to link the different moments in the song is the ‘soundtrack’ of ‘Waltzing Matilda’ – a song which is played at every important moment in the story. In groups, students could prepare a short paragraph about how the narrator might feel at one of the points in the story when he hears ‘Waltzing Matilda’. Different groups should address different moments in the story, and these paragraphs can be displayed on the wall so they can compare the feelings at each moment. Ask the students for their reactions to these lines. Then show them this video of Remembrance Sunday. Also, read this article from the Telegraph about how until recently people from a small town in Britain honoured the service personnel who had died in the conflict in Afghanistan. Is this the proper way to receive people who have fought for their country? 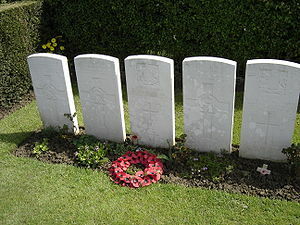 Should we commemorate people who have died in wars? Should commemoration be a state affair, or private? This entry was posted in Advanced, Authentic materials, Combined skills, Culture, Methodology, Resources. Bookmark the permalink.